This nicely creative tessellation shows translational (slide) symmetry. Sarah uses the motif of a monster to get away with explaining the odd outline. This is actually a good thing, and very popular with tessellation artists. 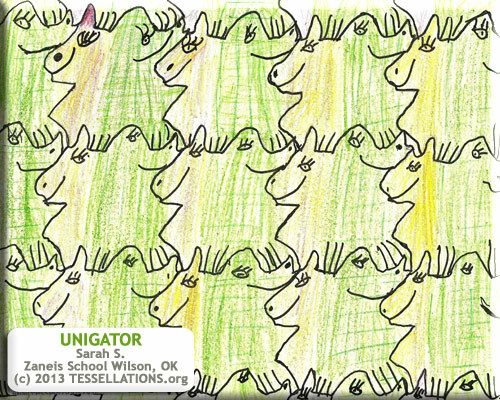 Hop David, one of the best tessellation artists alive, has done a few monster tessellations. I've also written a short, funny essay about why monsters make a good theme for a tessellation.